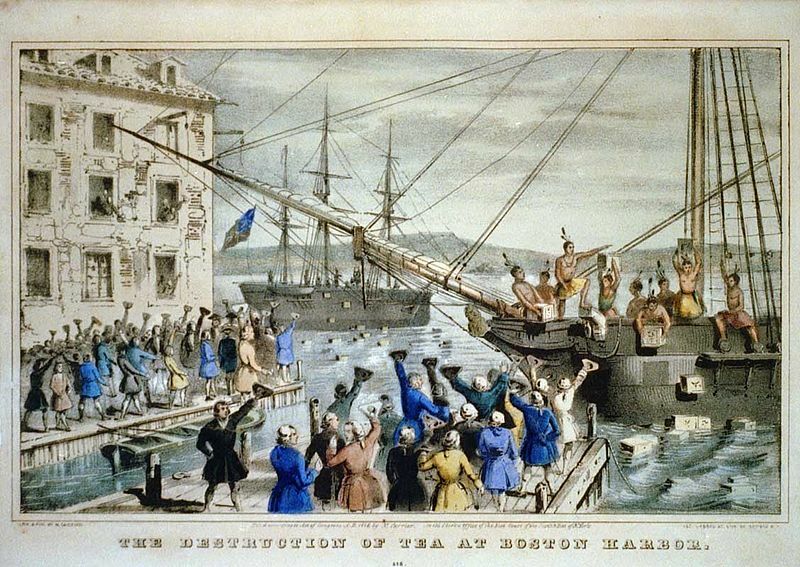 Last week I ended with the sons of liberty dumping three shiploads of tea into Boston Harbor. The immediate reaction to the Tea Party was mixed. First, I should point out that no one called it the "Boston Tea Party" at the time. At the time, references simply called it “the events in Boston” or the “destruction of the tea” The catchy name came decades later. Also, none of the men involved in the destruction wanted to be identified. For years, the identities of participants remained a secret. The men had committed a crime and destroyed property. Even after independence, the East India Company could have brought suit for damages. Decades later, people have tried to put together lists based on recollections of some very old men in the early 1800’s who claimed to have participated. A few names stand out, like Ebenezer Mackintosh, William Molineux, and Paul Revere. Most of the men were minor merchants and craftsmen, not political leaders. Radical leaders like Thomas Cushing, John Hancock, Joseph Warren, Samuel and John Adams, stayed far away from the event and made sure they had alibis. No one wanted to be the fall guy for this. Governor Hutchinson, who should have been used to mob activity in Boston, seemed genuinely shocked by the night’s events. He had left town several weeks earlier, probably to avoid harassment, and had not seen firsthand the emotional build up to the final night of destruction. The next day, he tried to convene a meeting of the Council, but could not get a quorum. Finally, getting a quorum the next week, the Council met in Cambridge where the Governor called the attack an act of high treason. Later, after getting better legal advice, they had to define it as an act of burglary. Still, they could never identify any of the perpetrators. One man was arrested but had to be released for lack of evidence. Even Tories knew the consequences of snitching would not be good. Anyone who knew anything kept his mouth shut. Gov. Hutchinson had to spend the next few weeks writing letters to officials and colleagues in London trying to explain why he could not prevent the events nor find anyone to punish. Colonists in other towns seemed to support the actions in Boston. Paul Revere rode to New York to give the Sons of Liberty there an account of what happened. Other messengers carried the story to Philadelphia a few days later. Unlike the Stamp Act riots or other earlier mob actions, most people throughout the colonies did not strongly condemn the events in Boston. The raid on the tea ships was not a reckless act of lawlessness. The men involved destroyed only the tea, protecting other property. They also made sure the tea was destroyed, not stolen. The attack only came after all other attempts to return the tea peacefully had been exhausted. 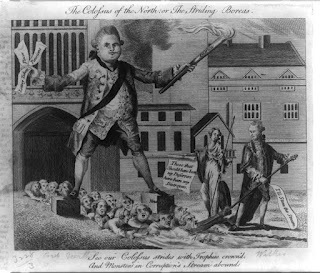 The colonies had remained peaceful for several years as they petitioned London to repeal the Townshend Duties. They had even tolerated importation of dutied tea as they worked toward its repeal through lawful means. Now the peace and tolerance had come to an end. Lord North had brought on the showdown in order to compel the colonies to resist or comply once and for all. They had chosen resistance. Debate and discussion over the destruction of tea seemed fairly unified. Colonists seem to have reached consensus that the Townshend duties were illegal and that resistance was justified. If many in the colonies disagreed with that consensus, they decided to remain silent. Word had not reached Charleston by December 22. The ship London reached port on December 2 with 257 chests of tea. After twenty days, officials seized and offloaded the tea to be held by the customs officials. A few months later, the East India Company sent a request that it be sold at auction, but officials wisely ignored the request. The tea sat in storage for about two years. By some accounts, the tea was eventually found to be damaged and unsellable. Others say that the patriot legislature that took control in 1775 sold the tea, without taxes of course, to raise money for the patriot cause. The Nancy was the last of the ships to arrive. A storm blew the ship off course, causing it to land in Antigua in February 1774. There, the Captain learned about the fate of the other ships. Nevertheless, he headed to New York with his 698 chests of tea. He anchored his ship outside of the harbor and beyond the reach of the Customs officers and went ashore to confer with the locals. The consignees, who had already resigned, told him he was best off staying away. So like the Polly in Philadelphia, the Nancy turned around and returned to London with its tea still on board. There was actually some tea from these shipments that did make it to market. Remember the William that ran aground on its way to Boston? Jonathan Clarke left Castle William, riding to Provincetown to examine the wreck. He was able to extract the ship’s 58 chests of tea and hired a fishing vessel to bring them back to Castle William. It is unclear what happened to all of the chests, but he sold two of them to a local justice of the peace in Provincetown. The remainder may have been smuggled out for sale at some point, but I cannot find any record of exactly what happened. Fear that the tea might find its way to market probably contributed to the anti-tea hysteria that swept the colonies over the next few months. 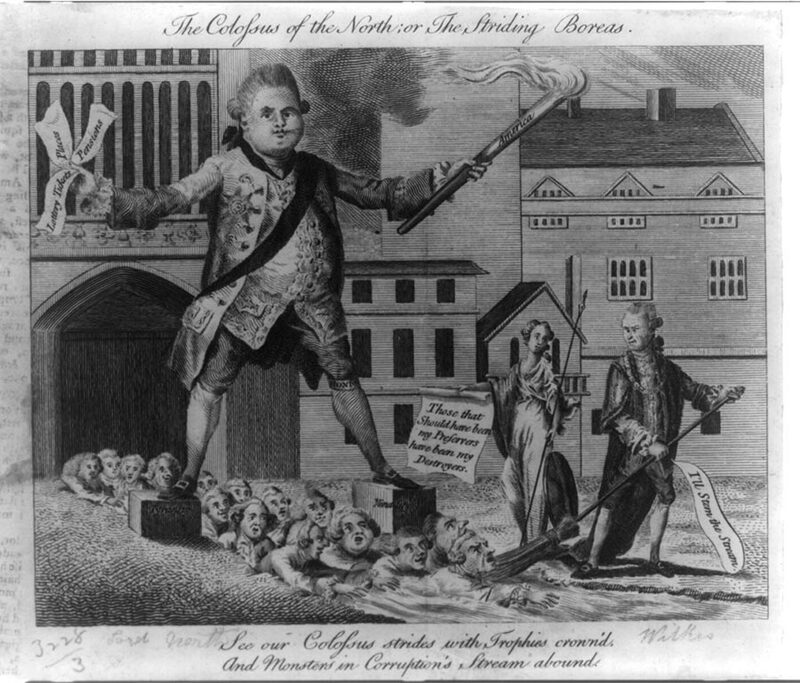 Originally, radicals had only objected to the tea tax. As time went on, opposition grew to all tea, even smuggled tea from Holland. Radicals confiscated tea from anyone selling or even possessing the leaf. They called on patriotic citizens to burn their tea and not buy any more of it. The justification against Dutch tea was that it was impossible to differentiate it from British tea that had the duties paid on it. Prior to the tea party, some merchants who had purchased tea in London were selling it, claiming it was smuggled Dutch tea. The only way to block all tea imports was to stop the sale and drinking of all tea altogether. Communities all over New England held tea burnings. Vigilantes raided stores and taverns accused of having or selling tea. They destroyed property and forced owners to sign agreements not to buy any more tea from anywhere. Newspapers started publishing absurd articles that condemned tea drinking for a variety of reasons completely unrelated to taxation. Tea was really a poisonous herb. Tea contributed to the flea problem in America. Tea was packed in China by women stamping down the tea with their dirty feet. More commonly we see the argument that tea is a luxury. Its use was making Americans soft and dependent on outsiders. Some tea addicted parents were buying tea while their children did not have enough to eat. Tea became the "Reefer Madness" of its day. Although the East India Company never tried to send any more tea directly after the first seven ships failed, other merchants continued to bring in tea, unaware of the anti-tea sentiment sweeping the colonies. Many of these were private chests of tea purchased at auction in London, as they had been for years without issue. When the Fortune arrived in Boston Harbor in March 1774 with 28 ½ chests aboard, it got caught in the same predicament faced by the earlier ships. Boston radicals would not allow the tea to be unloaded and Customs Officials would not allow it to leave without paying the duties. 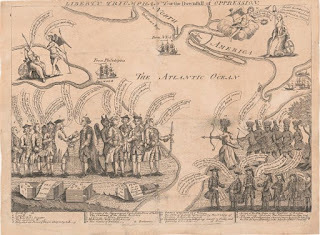 A few days later events repeated themselves as a band of men disguised as Indians boarded the vessel and dumped the tea into the harbor once again. In April, the ship London arrived in New York with 18 quarter chests of tea for private sale. Local activists dumped this tea into New York Harbor, and forced the captain to abandon his ship and flee the scene. 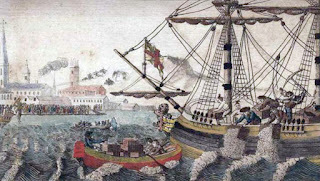 Similar attempts to bring tea into Portsmouth New Hampshire, Greenwich New Jersey, York Virginia and several other towns led to tea either being destroyed or forcibly removed from the colony for transport elsewhere. 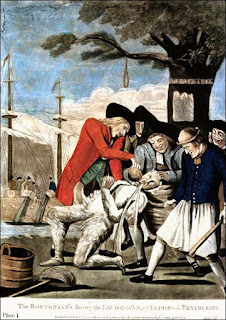 In Annapolis, Maryland, a merchant imported and paid the duty on a few chests, only to face a mob which forced him to burn both the tea and the ship that imported it. The issue of tea had finally unified colonial opposition in a way that nothing else had since the Stamp Tax a decade earlier. If Lord North in London had decided to set a precedent by forcing colonists to pay this tax, it completely backfired. The precedent set was that, no matter how small the tax, colonists would not tolerate any attempts to raise revenue without their consent. 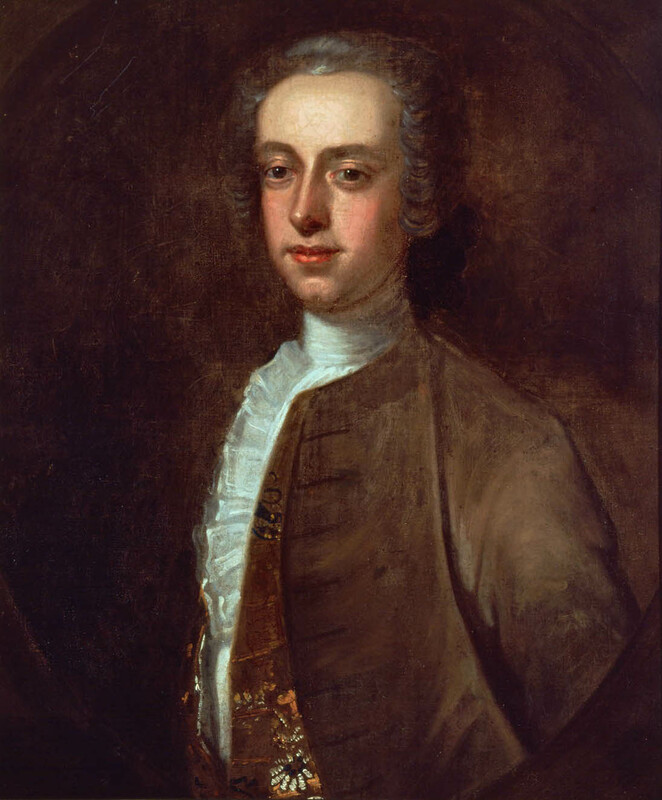 In London, Lord Dartmouth the Secretary for Colonial Affairs had been caught completely off guard by all of this. 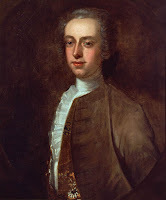 Lord North, had not even bothered to inform his brother of the plan to ship the East India Tea to the colonies. So when Dartmouth starting receiving word back from the Governors about all the problems, he was completely blindsided. Despite lack of notice, and despite the fact that Dartmouth had tried to be a pretty accommodating Secretary, the mass destruction of property and lawlessness had to be stopped. By early January 1774, Dartmouth wrote to Gov. Tryon and Gen. Haldimand in New York, authorizing the use of troops to protect commerce and prevent mob action if necessary. 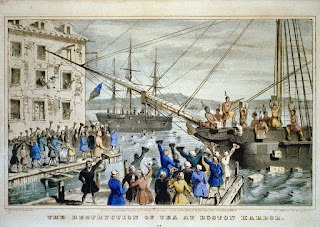 A few weeks later, the first word of the tea dump in Boston reached London. A few days after that, the Polly reached London with her tea still on board. A few days later, word of Charleston’s tea impoundment arrived. Quickly it became clear that the colonies presented continent wide resistance to the tea plan. The East India Company met with officials to see what could be done. The Company’s primary concern was compensation for the lost tea on Boston. It was also able to recover the tea on the Polly that had returned from Philadelphia. Although under the law, officials should have seized the tea, they did let the Company get it back. The Company then issued orders that any refused tea in the future should be sent to Halifax, where there was no objection. From there, many moderates figured inventive merchants and traders would find a way to move the tea south to consumers who still wanted their tea. Beginning in late January and into February, officials in London met to discuss how to handle the problem in the colonies. Although many colonies had resisted, officials focused on Boston as the center of the problem. They agreed that the government had to issue a firm response, and that Boston had to suffer for its actions. 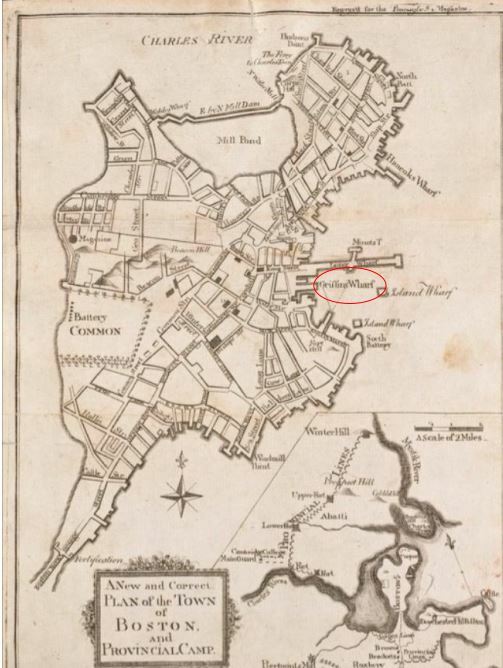 Even at the initial meetings, Dartmouth proposed shutting down the customs house in Boston, and moving the colony’s capital far from the city. Further, measures must secure the dependence of the colonies on Britain. The Attorney General issued an opinion that the events in Boston constituted high treason, levying war against his majesty. Lord North discussed the idea of ordering the Navy to block all commerce in and out of Boston Harbor, effectively closing the Harbor to all commercial activity. King George III was a part of these discussions and supported the idea of punitive actions against Boston. 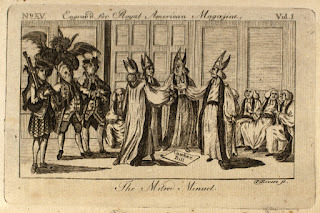 Many in the colonies still held to the fiction that they could be loyal to their benevolent King, and that they just needed to convince him that his Parliament and ministry were out of control. But the fact was, George was in full agreement with everything his government was doing. British anger at colonial resistance was not limited to government either. Public opinion, while divided, seemed to be in favor of teaching the colonies a lesson. 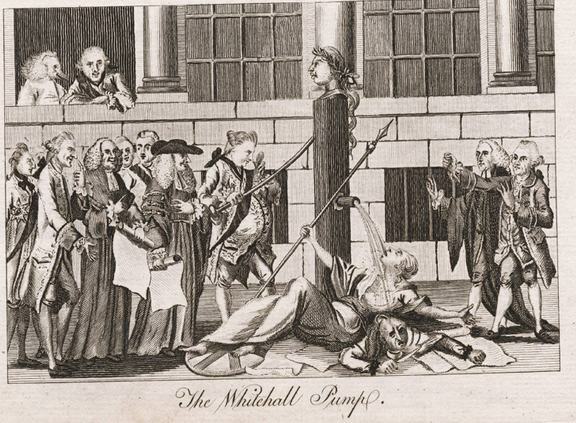 Newspapers blamed colonial misbehavior on leniency, starting with repeal of the Stamp Act. British desire to keep its colonies happy was being mistaken for weakness. Now the colonies thought they could simply do whatever they wanted without any repercussions. Everyone in England seemed to think Britain needed a firm response to show them who was boss. Gen. Gage, recently returned from America agreed. He said the colonists acted like lions because the British had behaved like lambs. If the British finally took tough action, the colonists would have to back down. On February 19th, Francis Rotch, owner of the Dartmouth, and several other men from Boston gave testimony to the Privy Council regarding the events of November and December. Even that far removed from Boston, the witnesses refused to name names, and only spoke of the events generally. A frustrated Attorney General decided it would be impossible to indict any individuals for treason, or much of anything else. Although the ministry could have taken many of the punitive measures without turning to Parliament, they decided to put the measures before Parliament in a bill. Although this might delay the response by a few weeks, it ensured that all of Parliament was aware of the government's response and that a majority approved of it. 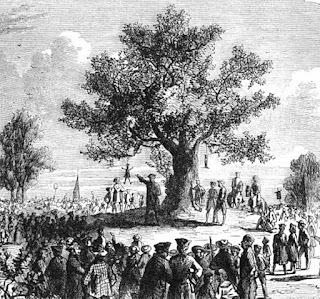 As much as radicals in Boston argued that destruction was the result of Indians, or more plausibly that of a few bad apples which did not justify the punishment of the entire town, London thought otherwise. Testimony about the destruction of Clarke’s store, the illegal town meetings, and numerous other events convinced officials that all of Boston was out of control. Now I'm going to get into all of the details about the legislative changes next week. But before I do that, I want to address one other issue that was happening at the same time. In the middle of all of this rancor over tea, Benjamin Franklin felt the wrath of London’s fury due to an unrelated matter. I mentioned back in Episode 37 that Franklin had sent a packet of confidential letters to the radicals back in Boston. These were confidential letters from Gov. Hutchinson to officials in the London establishment talking about the need to curtail colonial liberties if they ever wanted to restore order in the colony. Although Franklin requested the letters be kept confidential, the radicals published them in the newspaper, resulting in a spike in colonial outrage against Hutchinson. When those letters became public, the radical leaders in Massachusetts used them as part of a petition calling for the removal of Gov. Hutchinson and Lt. Gov. Oliver. 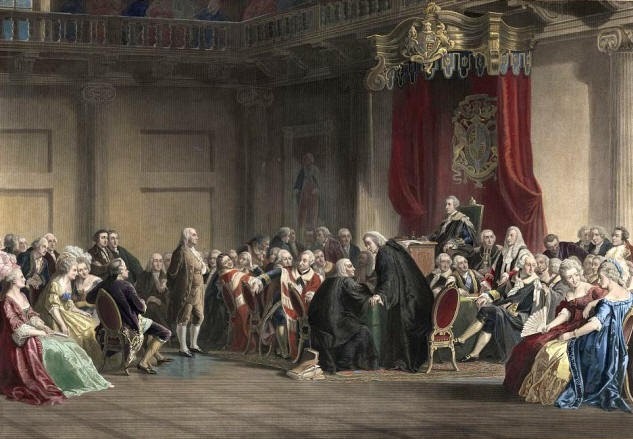 During the fall of 1773, British officials tried to figure out who had sent those letters to the colonies. Two officials in London each accused the other of sending the letters. They ended up in a duel, in which neither man was killed. After hearing that they planned to have a second duel, Franklin stepped up by writing a letter to the London Chronicle admitting that he had sent the letters. A few weeks later, in early January 1774, Franklin appeared before the Privy Council to discuss the petition to remove Hutchinson. After some questioning, it became clear that the meeting was not so much about removing the Governor, but rather whether Franklin had committed a crime by releasing the letters. Franklin decided he needed to lawyer up, and ended his testimony until he could consult with counsel. He told the members he needed about three weeks to prepare his case. The timing could not have been worse. In those three weeks, news of the Boston Tea Party and other acts of resistance rolled into London, putting everyone in a violently anti-colonial state. At the time, Franklin actually expressed views similar to most Londoners. He condemned the violence in Boston, along with the destruction of private property. 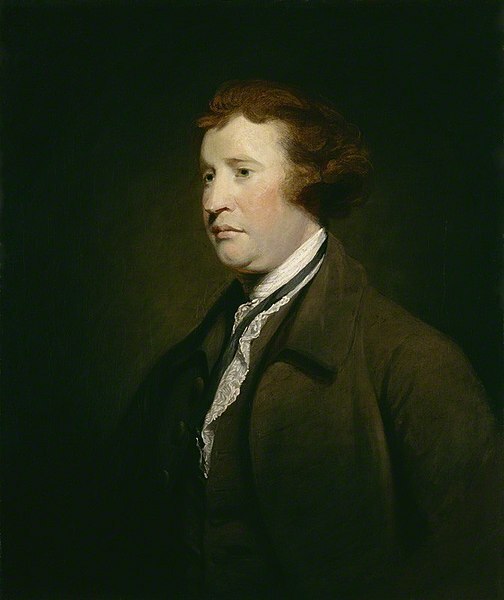 He argued that the East India Company was not an enemy of the Colonies and should not be treated as such. Even so, London newspapers raged at his behavior, for releasing private letters and cooperating with the radicals in Boston. Franklin even had to remove his name from the group still trying to get approval for the Vandalia colony, fearing his tarnished name would now potentially harm the group’s chances. 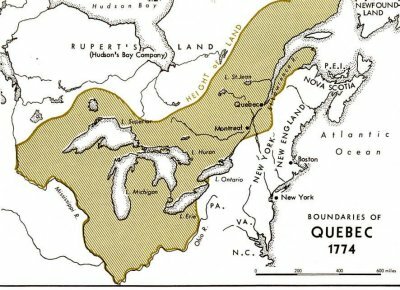 Franklin returned to the Privy Council on January 29, 1774. A packed house viewed the proceedings as a showdown. Even Lord Hillsborough showed up in the audience to watch his enemy Franklin get his comeuppance. Lord North arrived late and had to stand. The Solicitor General Lord Wedderburn gave a lengthy diatribe for over an hour, condemning Franklin’s violation of privacy in releasing private letters. Wedderburn then attempted to call Franklin as a witness. Franklin declined citing his right against self-incrimination. Wedderburn then continued to heap abuse on the silent Franklin, who stood quietly in front of the crowd, without betraying any emotion at the humiliating treatment. Finally, the Council got to the point of the meeting and rejected the petition to remove Gov. Hutchinson. The following day, Franklin received notice that he had been fired as Postmaster General of North America. He spent a few days in hiding, fearing he might be arrested. Eventually he returned to his London home and began to receive visitors. Still, his effectiveness as a lobbyist for the colonies in London was over. Franklin remained in London for another year, hoping to restore his reputation. That did not happen though. In 1775 though, he packed his bags and returned to Pennsylvania. Before these events, Franklin was not terribly associated with the Patriot cause. He had tried to remain neutral. Following the attack and the destruction of his reputation in London, Franklin became a committed Patriot. Next Week: Parliament passes the Coercive Acts, putting Britain and her Colonies on the path to war. Franklin before the Privy council, White Hall Chapel, London, 1774, reprint Philadelphia: John M. Butler, 1859. Cushing, Harry (ed) The Writings of Samuel Adams, Vol. 3, New York: G.P. Putnum's Sons, 1907..
Hawkes, James A retrospect of the Boston tea-party, with a memoir of George R. T. Hewes, a survivor of the little band of patriots who drowned the tea in Boston harbour in 1773, New York: S.S. Bliss,1834. Cummins, Joseph Ten Tea Parties: Patriotic Protests that History Forgot, Philadelphia: Quirk Books, 2012. Isaacson, Walter Benjamin Franklin: An American Life, New York: Simon & Schuster, 2003. We left off last week with seven tea-laden ships headed for the colonies in the fall of 1773. 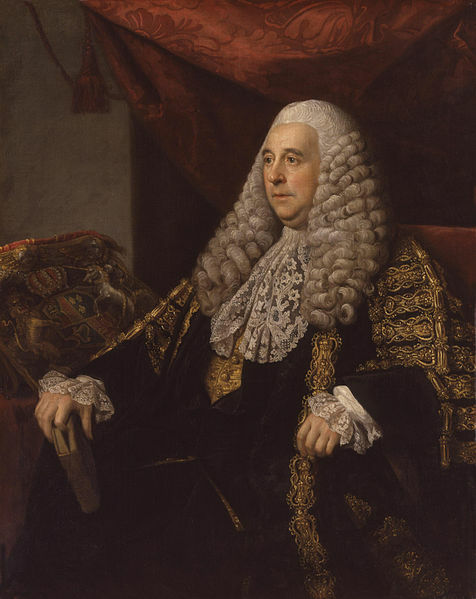 Lord North seemed to think he was going to put an end to years of nonsense by forcing the colonies to accept Parliamentary taxes once and for all. He had minimized the amount of tax to a mere 3 pence per pound of tea. By removing all the other taxes and many other costs that had been paid in transit, the price of tea was cheaper than ever before, in some cases cheaper or at least competitive with smuggled tea from Holland. The non-importation agreements, in place now for nearly four years, had been faltering on their own. These cheaper prices would surely break colonial resistance and get trade back to normal. But as any parent of a three year old knows, even if you have all the power and think you have all the carrots and sticks in place to compel certain behavior, the three year old can still throw a crazy tantrum that upsets all of your plans and forces you to overreact. That is pretty much what is about to happen. The Patriots had little time to react to all of this. Parliament passed the Tea Act in May, 1773. Since it took nearly two months for word to reach the colonies, it was the middle of summer before anyone heard about it in America. Even then, there was considerable confusion about the details. Some reports said that Parliament had removed all duties, which of course would have been a great victory for the Patriots. Not until early September did colonial newspapers publish the full text of the Act, making clear that duties would still apply to tea. By August, the East India Company had already designated consignees and was rounding up ships to carry tea to the colonies. In late September, the ships had set sail. By the time Patriots received a clear understanding of the Tea Act’s details, there was no time to send a response to England before the ships were in transit. 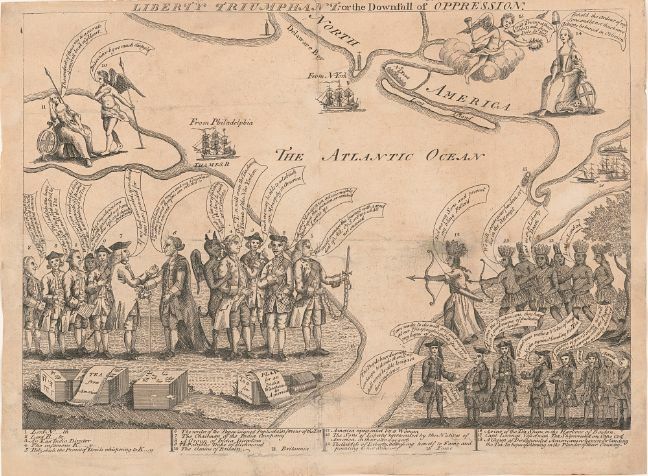 The new plan did not seem to set off alarm bells among the Sons of Liberty in Boston. Committees of Correspondence in Massachusetts were still focused on changes to how their leaders were paid and the fact that the Governor was still forcing the Assembly to meet in Cambridge rather than Boston. The new tea rules were mostly an afterthought. Part of the reason may have been that there was really no change for the worse. Parliament had not increased the tea tax or created any new taxes. All that remained the same as it had been since 1767. The only change was that the overall price of tea was getting cheaper. The first people to push this issue were merchants in Philadelphia and New York. Remember, these guys were making big money smuggling Dutch tea into the colonies. With their competitors getting consignments, many merchant smugglers saw that their business was in real danger. I think it is a bit cynical to blame this newly invigorated tea protest on a few disgruntled smugglers who would be losing money. That may have provided some incentive. But radicals still had an ideological opposition to paying any revenue duties to England, under the theory that once the colonies accepted any such tax, many more would be sure to follow. 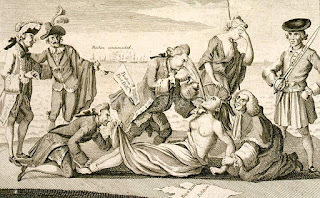 treatment of tea tax collectors. By late September, colonial newspapers announced that the East India Company was sending its first shipments to the colonies later that fall. 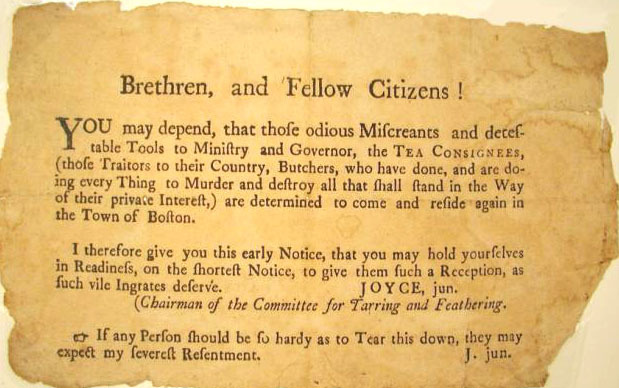 In early October, radicals in New York and Philadelphia began posting handbills and writing newspaper articles in opposition to the tea delivery. New York protesters seemed most upset at the idea of the East India Company’s monopoly. They raised concerns that if this monopoly could stand, the Company could soon get a monopoly on all sorts of trade goods. This argument does not make any sense to me. First, the East India Company had always had a monopoly on tea, ever since it introduced the leaf to the British Empire more than a century earlier. Nothing about that was changing. The only difference was that the tea was a little cheaper now because it did not have to be sold at auction in London and then resold in the colonies. Perhaps that was their real concern. Local merchants were being cut out of the process in favor of fixed contracts that greatly benefitted the Company. Sure, colonial merchants were still free to go buy tea in England and ship it to the colonies. Doing that though, would make their tea far more expensive than the Company selling it direct. The other concern was for merchants who smuggled Dutch tea. The legal English tea would now be about the same price, perhaps cheaper since legal shipment would be cheaper than smuggling, where there could be losses due to seizure, or increased costs do to offloading miles from port and transporting overland. But the arguments about the Company’s monopoly or the fear of competition with smuggled tea really only concerned the colonial merchants. The tea drinking public did not get hurt by this change. In fact, the public would benefit from lower prices. 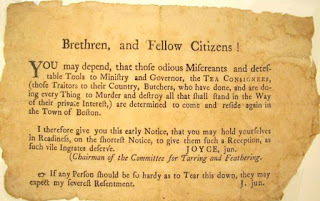 To further complicate forming a united opposition, consignees in New York ran a misinformation campaign, claiming that the new tea shipments were exempt from Townshend duties. They argued the colonists had won and were getting duty-free tea. It’s not clear if the consignees really believed this and were mistaken, or whether they were just trying to use what we might call today “fake news” to allow the tea to land. After all, only they would know that they had paid the tea tax. The customers would have no idea. The two sides fought over this point for several weeks. Finally the consignees either received confirmation or conceded that the Townshend duty applied. In Philadelphia, radicals met with the consignees, trying to get them to refuse to participate. Here the consignees did not deny that the tea required duty, but expressed ignorance about the terms generally. The Whartons gave assurances that if they had to pay a duty, they would not accept the tea. James & Drinker gave a more vague promise only that that they would have more to say once they received more details. As a result, most of the wrath over the tea fell on James & Drinker. They received threats that no one would do business with them, as well as general threats of violence. Further, because a large ship needed a local pilot to bring it up the Delaware River to the Philadelphia port, radicals made known that any local pilot who brought the tea ship to Philadelphia could expect to be tarred and feathered. Similar consequences would be due to any wharf owner who agreed to let the ship dock at his wharf. 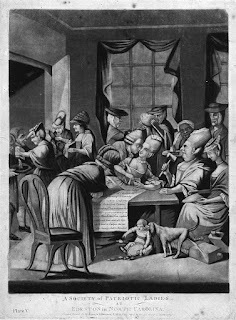 By early November, the Philadelphia consignees received their detailed instructions, clarifying that they would have to pay duties on the tea. Already seeing how much pressure they were facing, all of them agreed to resign and refuse acceptance of any tea. Boston was more difficult. The consignees had been importing tea and refusing to participate in the non-importation agreements for years. They were used to fighting with the radicals and did not see the latest tea shipment as anything different. The radicals, of course objected to anyone paying the tea tax, but through September and early October, did not seem terribly upset about it. In October, the Boston papers published some articles from Philadelphia and New York objecting to the tea imports. On October 21, the Boston Committee of Correspondence sent a letter to other cities, mostly complaining about the issue of the King paying the salaries of colonial officials. It only mentioned the tea issue briefly at the end of the letter. Boston seemed to have needed prompting from fellow radicals in New York and Philadelphia to work up the necessary level of outrage. 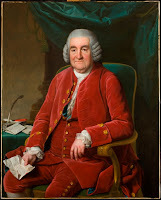 One of the Boston consignees, Richard Clarke, attempted to sway public opinion to his side, arguing in several articles that the tea was fine because they were paying the duty in London, not in Boston. There had always been taxes on tea that were paid in London and this was no different. He argued the protesters were just folks who smuggled illegal Dutch tea and did not want any competition. His arguments did not seem to win him much support though. By late October, the Boston radicals began to get in gear. As in other cities, local Sons of Liberty tried to intimidate the consignees. They wanted the consignees to refuse to accept the tea and to resign their positions as consignees. Since the ships were already on their way, there was not much time to build up a movement. Samuel Adams led the protest, but he did not want to dirty his hands by leading the street mobs. That job fell to William Molineux, a local merchant with a thriving illegal trade with the Dutch. Molineux had been an active street leader in the Stamp Act and Townshend Act protests and during the events surrounding the Boston Massacre. He knew how to run a Boston street mob. At around 1:00 AM on November 2, a group of men pounded on Richard Clarke’s door demanding he receive a summons. The note ordered Clarke to appear at the Liberty Tree on Wednesday to publicly renounce his consignment of tea. When Clarke did not go, Molineux led a group of men to his shop. The mob rushed in and destroyed everything. Clarke and his companions were able to escape to the second floor where they could take refuge in a secure, reinforced room which held money and important papers. Newspapers and broadsides condemned all the consignees and threatened them if they failed to resign. On Nov. 5, Pope’s Day in Boston, leaders held a special town meeting in the morning before festivities began. John Hancock led the meeting where he condemned the threats against merchants, but also got approval from the hundreds of men in attendance to continue steadfast opposition to the East India Company’s tea plan. The Town Meeting sent notices to the consignees demanding their resignations. To this more official command, the consignees pleaded ignorance. They said they still did not know the exact details of the consignment agreement yet, and would let the Meeting know when they had all the information. While the answer did not satisfy anyone, it seemed to buy them a few days as the radicals fumed but did nothing. 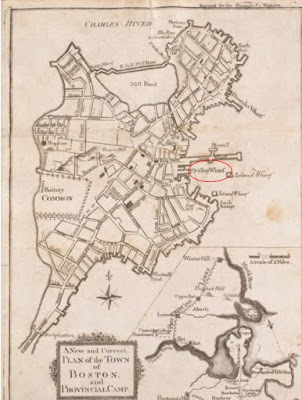 During this time someone published a document showing that more than 3000 pounds of tea had arrived in Boston since passage of the Townshend Acts, all paying the required duty. Loyalists took this information to show that this new shipment was no big deal and nothing new. Patriots argued it was evidence that they had been slacking far too much on the non-importation agreements and that they needed to step up their game. On Nov. 17, one of Hancock’s ships arrived from London with news that four ships carrying the Company tea were headed for Boston. Also arriving on the ship was Jonathan Clarke, one of the sons in the Richard Clarke and Sons company. Jonathan had helped secure the tea consignment in London and had returned home. That evening, a mob visited the Clarkes at their home yelling from the streets. Now, given past patterns, I cannot imagine why he thought this was a good idea, but Clarke decided to disperse the mob by going up to a second floor window, brandishing a pistol and firing it into the air. This, of course, enraged the mob, which began to throw rocks through the windows. The next morning the town meeting again sent representatives to the Clarkes to see if Jonathan had brought the consignment details they needed. The Clarkes again begged off, saying only that the terms of the agreement contained harsh penalties for resignation which they could not afford. Realizing that the tea protests had moved to a level they had not anticipated, the consignees went to the Governor and Council. They asked that the government take custody of the tea once it arrived in order to prevent destruction, and to release it once all this craziness ended. The Council delayed acting on the petition for several weeks, not sure what to do. In the meantime, the Governor ordered the Corps of Cadets to be prepared to restore order if necessary. The Commander of the Corps, John Hancock made clear that yeah, that’s not going to happen. The Governor could have called back the regiment of British regulars still stationed out at Castle William. Doing that though, would just make things worse, and possibly bring back the occupation protests that had led to the Boston Massacre. So, the government did nothing. Consignees started leaving town at night for fear of mob action. On Sunday November 28, the ship Dartmouth arrived in Boston Harbor with 114 chests of East India Company Tea aboard. It was the first tea ship to reach America. Patriots demanded the tea be returned to England. But doing so was illegal. If returned, the government would confiscate the tea and the consignees would be liable for the cost. Further, the ship entering the harbor started another clock. Someone had to pay the duties on the tea within 20 days. Otherwise, officials would seize the tea, pay the duty, and sell it themselves. Boston leaders held town meetings on Monday and Tuesday trying to find an acceptable solution, despite the fact that the Governor declared the meetings illegal and ordered them to disperse. The Meeting wanted the tea returned to England. The Consignees all fled Boston, some going to Castle William. Others left to stay in homes in other towns. The radicals began to pressure Joseph Rotch, the owner of the Dartmouth. Rotch just seemed to be looking for a way not to get his ship seized by authorities, but also not get tarred and feathered by an angry mob. Rotch attempted to get permission to leave port with the goods still on his ship. However, customs officials said payment of duty was due as soon as the ship entered the harbor. He could not leave until someone paid the tea duty. Boston radicals sent several dozen volunteers to watch the ship day and night. They claimed to be there to prevent any mob action. Everyone knew though, that they were there to make sure no one took the tea off the ship. The following week, the Eleanor and the Beaver both arrived carrying more tea. Storms forced the fourth ship, the William to crash along the coast, so it never arrived. The three tea ships remained stuck at Griffin’s Wharf. Customs officials and the Governor refused to allow them to leave without paying the duty, with the British navy prepared to sink them if they tried to leave without permission. On the other side, the radicals stood guard, preventing anyone from removing any tea from the ships. British officials knew that time was on their side. On December 17, twenty days would have passed since the arrival of the Dartmouth. At that point, officials could confiscate the tea and see that the tax was paid. They only had to wait until that date passed. The day before the deadline, December 16th, Boston held another meeting attended by nearly 5000, a huge number considering the adult male population was around 2500. Many had come from the surrounding area to participate. They understood that the consignees would almost certainly pay the duty the following day in order to avoid seizure. At that point, they would find a way to remove the tea and eventually sell it to Bostonians who were demanding more tea. A shortage of tea had already begun to increase prices. Negotiations continued throughout the day with Rotch still trying to get permission from the Governor to allow his ship to remove the tea from the colony without paying the duty. Hutchinson, however, remained adamant. He was not going to back down. Rotch finally returned to the meeting at around 5:45 PM, when it was already dark. He announced that the Governor had refused his final request to leave the harbor. I like to think the final debate called for a really futile and stupid gesture to put an end to this standoff. But historians tell us Samuel Adams simply proclaimed that he could not see what they could do to save their country. That was apparently a signal as dozens of men dressed as Mohawk Indians entered the meeting to loud war whoops. The meeting dissolved and everyone headed down to Griffin’s Wharf. The Mohawk costumes were not designed to fool anyone. Some said they symbolized the free man in a state of nature protecting his liberties. Others thought the Indian clothing and face paint helped hide the identity of the men involved. Even if people could recognized some of the men, they could use the excuse that they were dressed as Indians and wearing face paint to avoid making a positive identification to authorities. The removal of 340 chests of tea, most chests over 400 pounds, from three ships was not an easy task. Somewhere between 30 and 60 men boarded the three ships, overpowered the customs official on each ship, and set about breaking open the chests and dumping the tea into the harbor. Hoisting and dumping that much tea without the assistance of machinery took the men about three hours. The water levels were so low that piles of tea simply sat above the water. A crowd of several hundred watched from the pier as the men went about their work. The British Army and Navy sat a few hundred yards away, but never received any authority to intervene. The Governor and Lt. Governor were out of town that night. Admiral Montagu noted later that he could have fired on the attackers, but would also inevitably have hit the bystanders watching the events. As a result, he made no attempt to stop them. One member of the Mohawks was caught stuffing tea into his pockets. The crowd beat him, stripped him and forced him to run home naked. They wanted to make clear this was not an act of looting and lawlessness, but a political protest. By 9:00 PM, the work was complete and everyone returned home to await the consequences. Next Week: We’ll discuss those consequences.